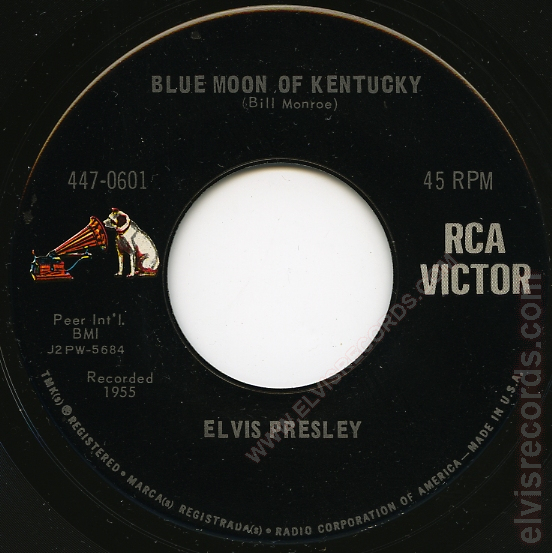 Disc: 3/1959. 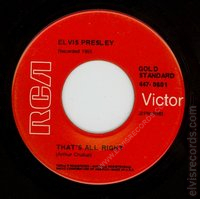 Gold Standard. 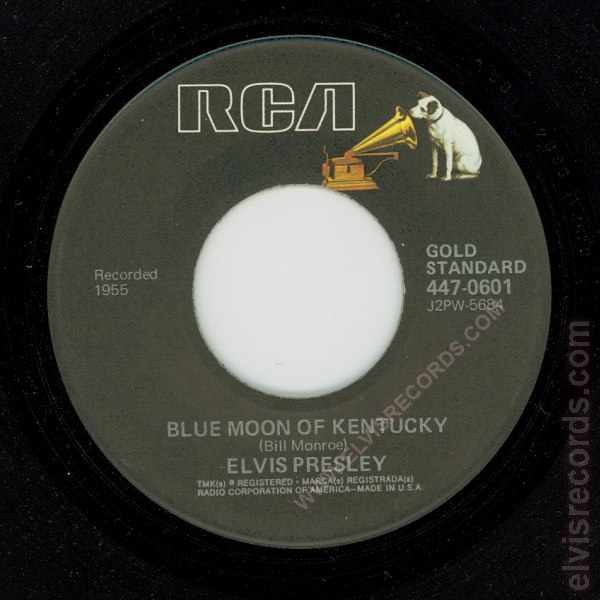 Black label, dog on top. 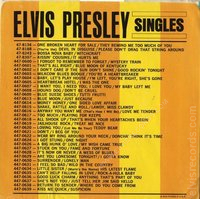 Recorded dates on both sides centered between matrix number and song titles. This Gold Standard Dog Near top release is a surprisingly difficult reissue to obtain if attempting to complete a set. 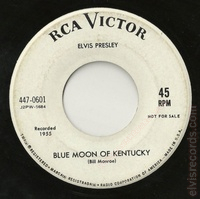 Disc: 1971. 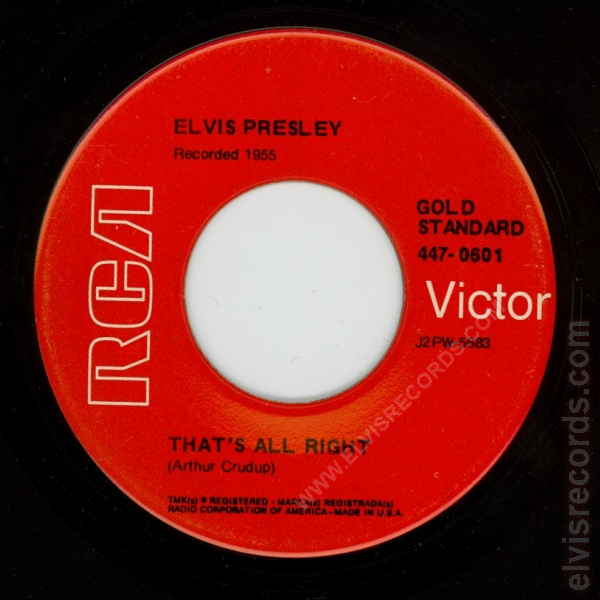 Gold Standard. Red label. 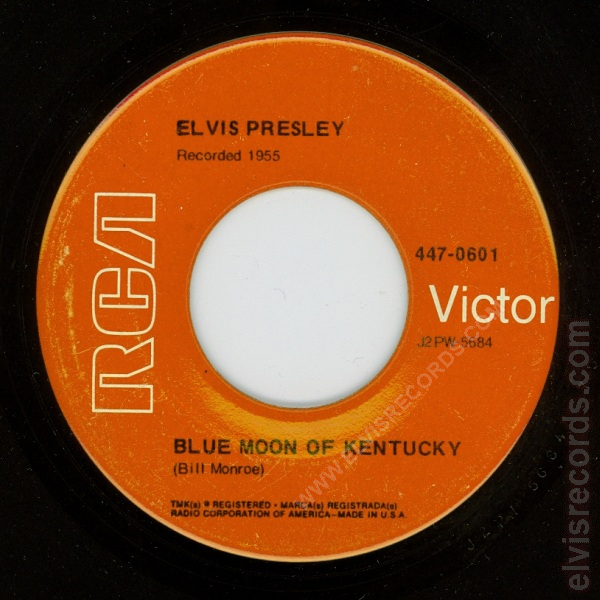 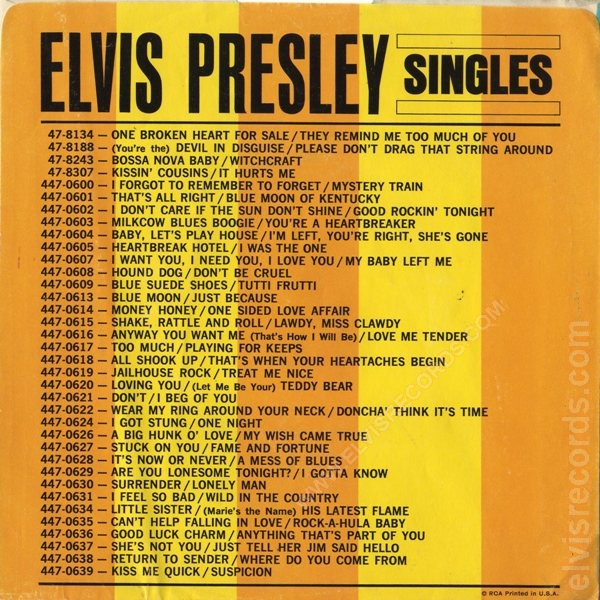 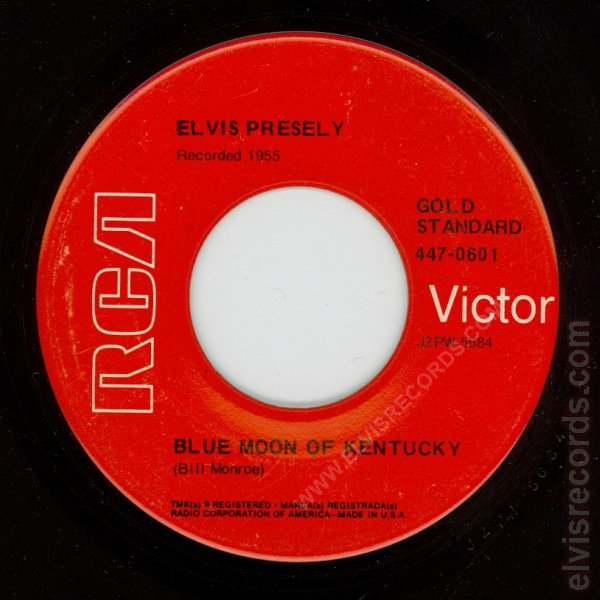 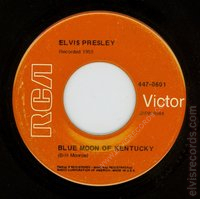 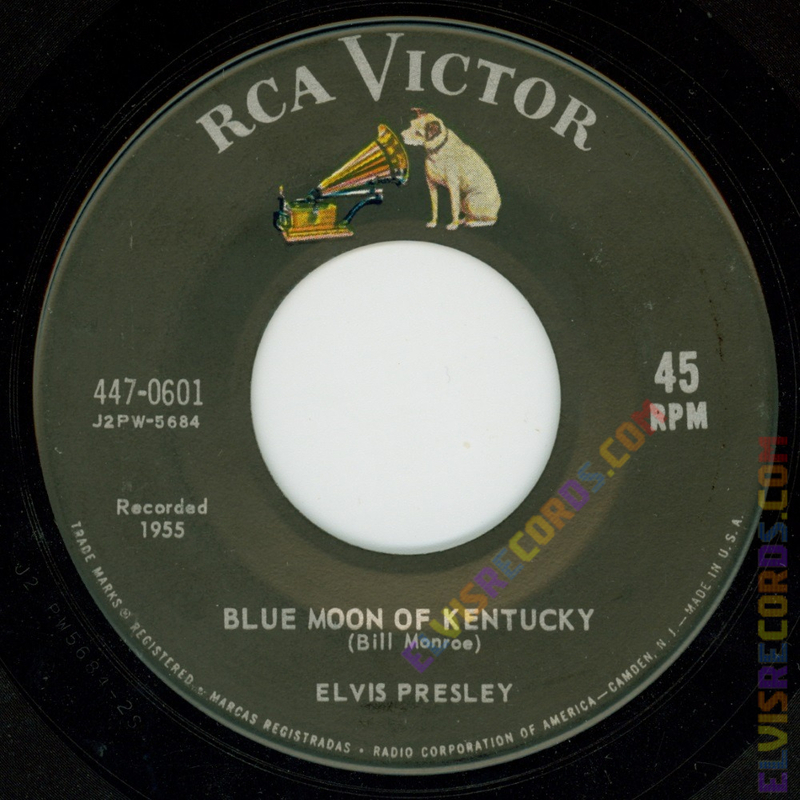 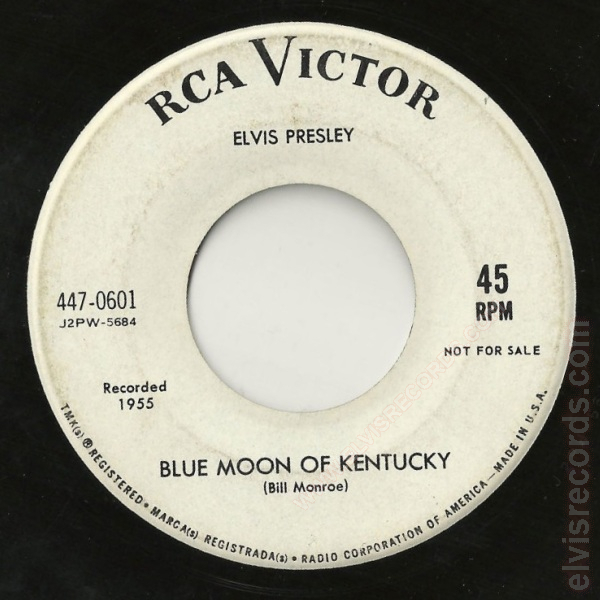 Elvis Presley is misspelled as Elvis Presely on Blue Moon of Kentucky side. 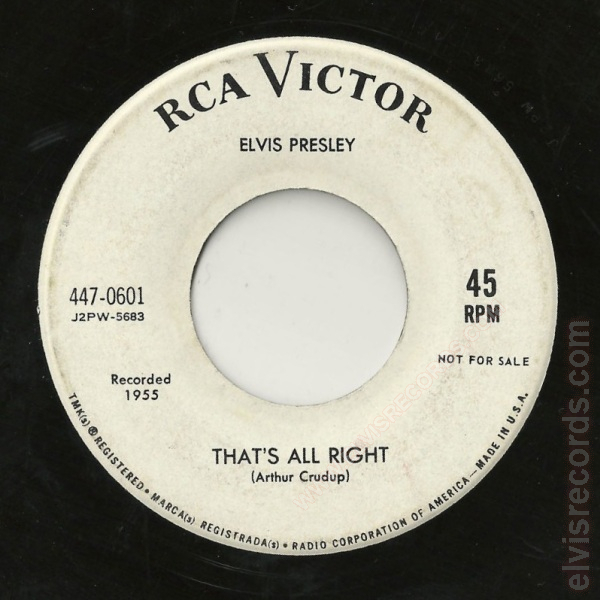 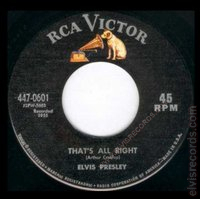 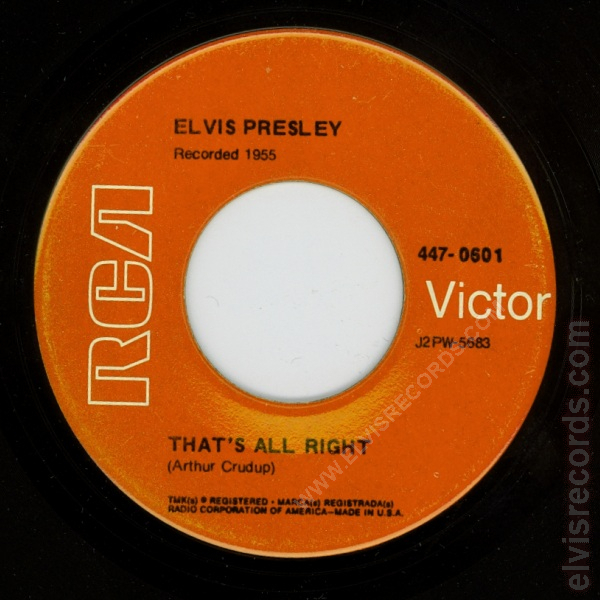 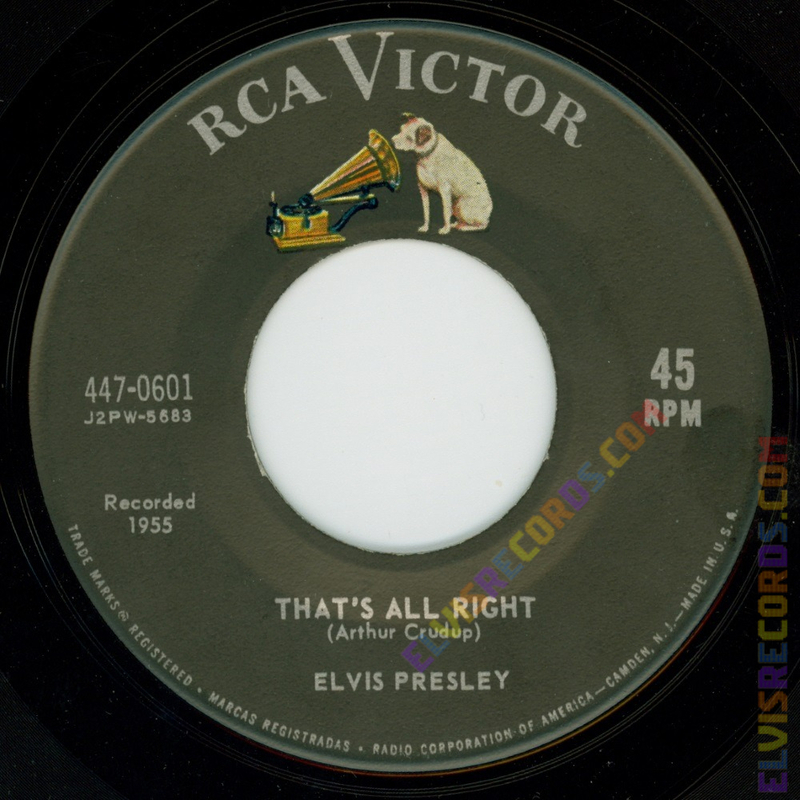 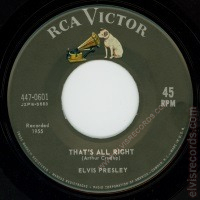 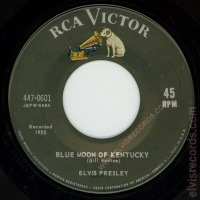 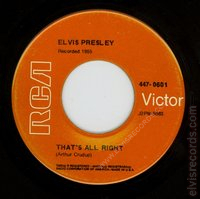 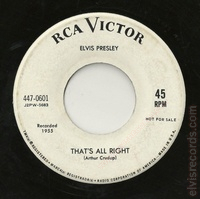 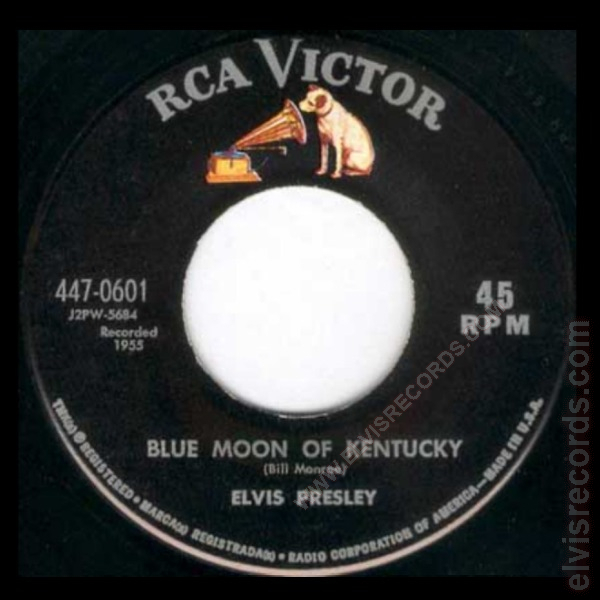 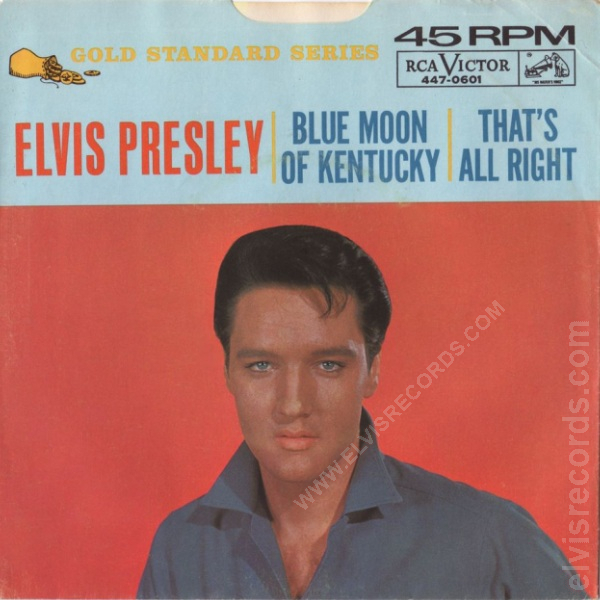 Released in 1955 by RCA Records on 45 RPM as That's All Right / Blue Moon of Kentucky. 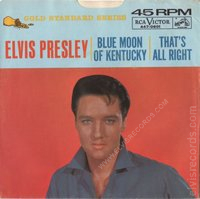 Released in 1955 by RCA Records on 78 RPM as That's All Right / Blue Moon of Kentucky.